Wilko, also known as Wilkinson is a Leicester based family-owned homeward and general retailer that’s been trading since it was founded by JK Wilkinson in 1930. A huge British success story, the company is still family owned and has members of the founding family on the board. Wilkinson now has over 300 stores and a growing presence online. It’s not just for student essentials (although it’s very good at those) but also stocks a wide range of toiletries, make-up, stationery, gift cards (what else?) and decorating and DIY products. There’s probably a Wilkinson near you – click here to find your nearest Wilkinson store. Where can I check my Wilkinson/Wilko giftcard balance? Unfortunately it’s not currently possible to check your Wilko giftcard balance online. Alternatively, you can check your balance at the till at any Wilko store. 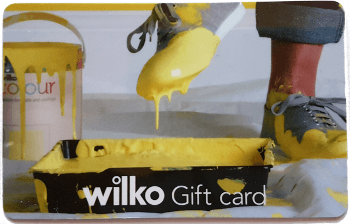 Where can I buy a Wilkinson/Wilko gift card from? Currently, Wilko branded gift cards are only available through Wilko stores. You will sometimes find discounted Wilko gift cards at the giftcard exchange Zeek. Where can I spend a Wilkinson gift card? The cards can be spent at any Wilko store. They are not currently accepted at their online store but there are plans for this to happen, according to the retailer. The card will expire after 12 months of inactivity and any balance will be lost. Checking the balance at the till will restart the clock on this 12 month period, so take the card to a store if you think it might be nearing the expiry date. The card can be used to purchase any products at Wilko stores except lottery tickets. You can top-up the card at any time but the maximum credit balance it will carry is £100.